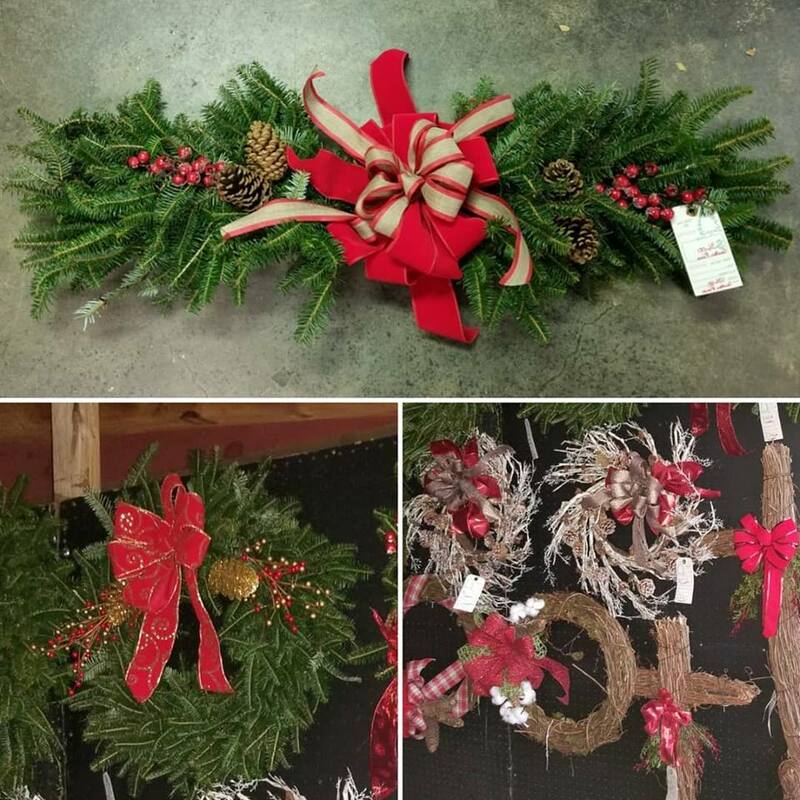 We have beautiful centerpieces, sprays, wreaths and other natural decorations available. Some are pre-decorated, some are plain, some you can have custom decorated while you wait. 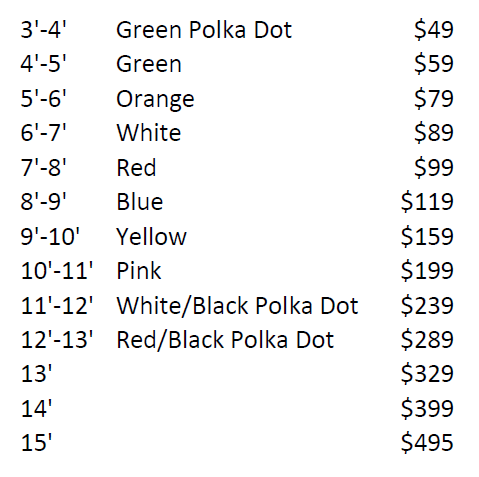 Be sure to stop by to see Myra to get yours! Do you like Coffee & Donuts?! We do too! 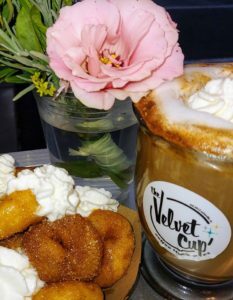 That’s why we are excited to have The Velvet Cup Coffee Truck coming to the farm our first two opening weekends to serve up their awesome coffee and fresh donuts! Word is they’ll be here slinging delicious apple cider donuts, hot cocoa, eggnog lattes, and pumpkin spice ANYTHING!!!! around the property! Only $5! Begin Your Holiday Adventure Here! 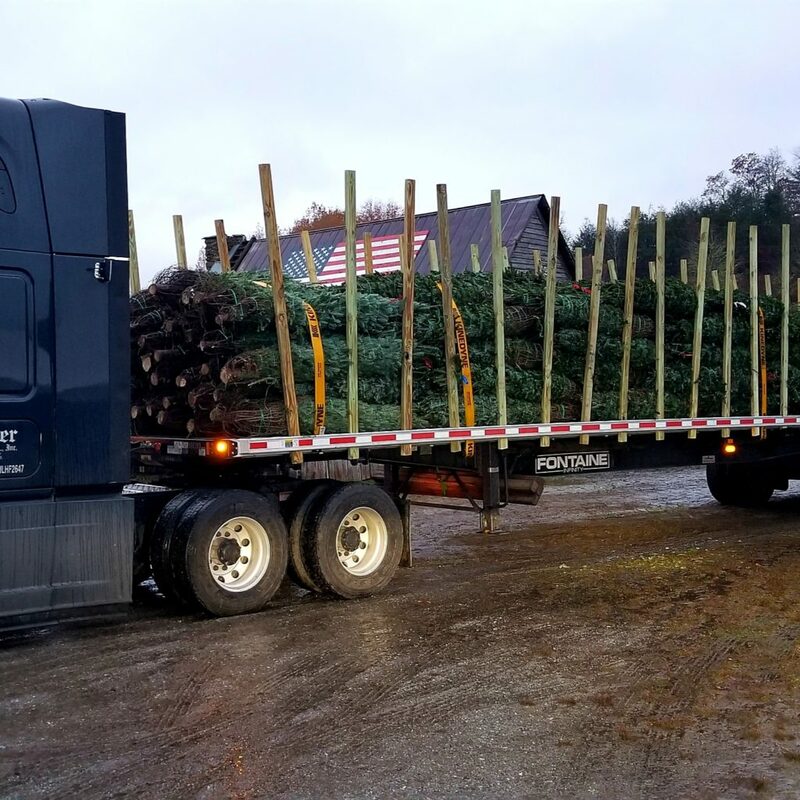 Begin Your Holiday Adventure Here at Tom Sawyer Christmas Tree Farm! 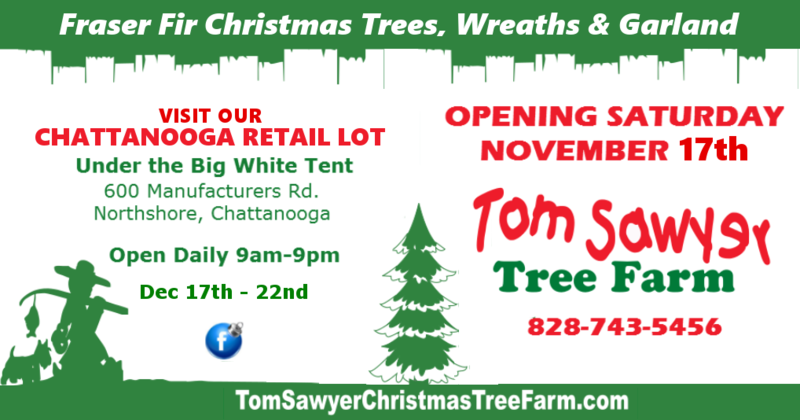 Bring your family and choose and cut one of our beautiful Fraser Fir Christmas trees. 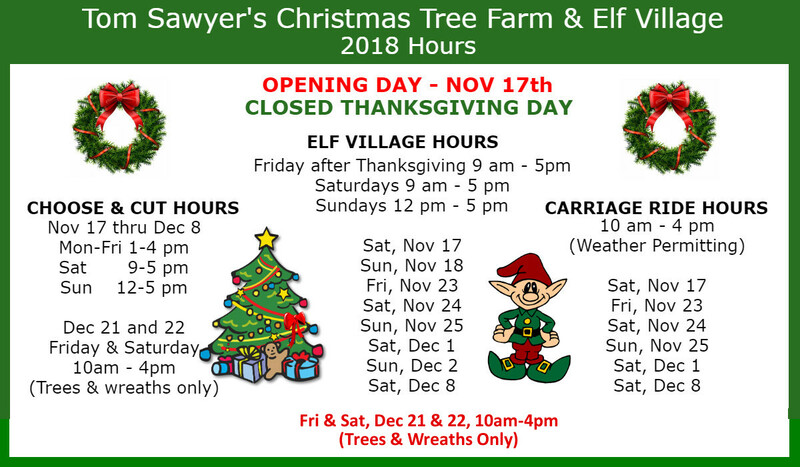 Take the kids on an adventure through the Elf Village, enjoy a horse & carriage ride, have some warm apple cider and cookies and make a day of it! We open on Nov 17th! Looking for places to stay and things to do while you’re in the area? 2018 Opening Day November 17th! 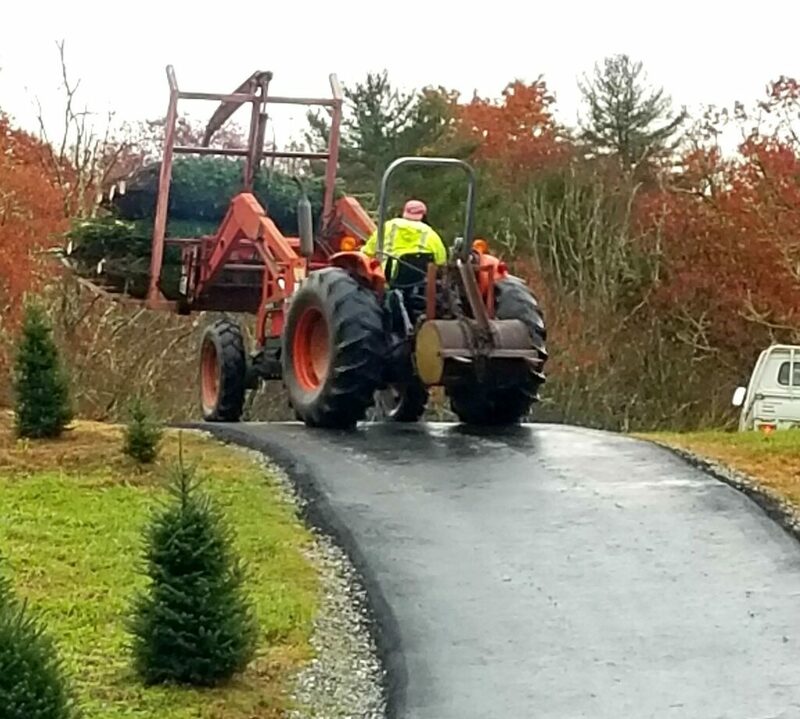 We are gearing up here on the farm getting ready for you to come and pick your perfect Christmas tree! The elves are also busy in the elf village getting new adventures ready for all the children! Of course, Santa has made plans to be here as well!